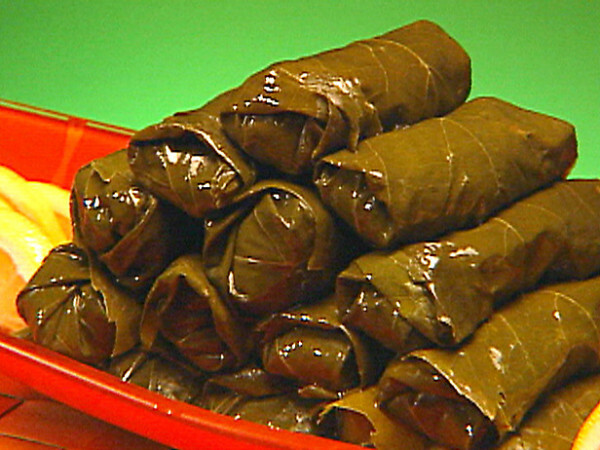 Greek stuffed vine leaves are one of the most famous Greek dishes which come to mind when you think of Greek food. They are made from vine leaves, which you can grow in your back garden even in a London climate. The stuffing is usually pork based but you can leave it out if you want them to be vegetarian. In Cyprus, the Greeks call this “koupepia” (κουπέπια) but the Greeks from mainland Greece call them “dolmathakia” (ντολμαδάκια). 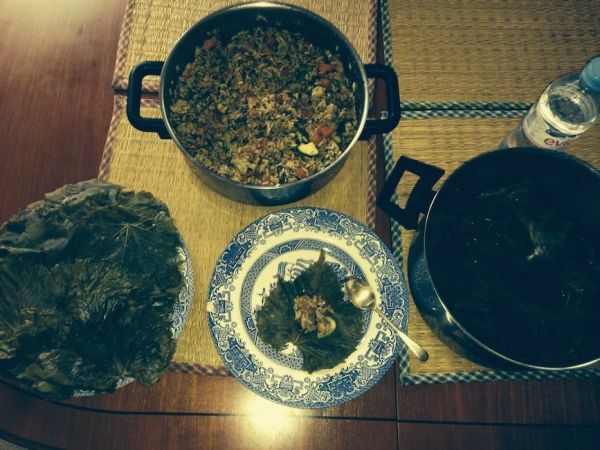 The Turkish equivalent is referred to as “dolma”; which comes from the Turkish word, “dolmak”, meaning “to be stuffed”. 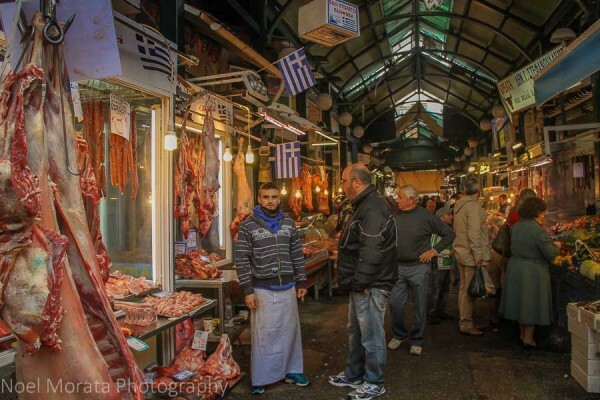 For more about popular Greek food, particularly in North Greece, check out Noel Morata's travel blog post about Thessaloniki food. 1. Blanche the vine leaves by putting them in a pan, cover with boiling water and let it sit for 3-5 minutes. Remove them from the water and place in warm salted water to soften. Then take them out and place on kitchen towels and pat dry each one, stack in piles for use later. 2. Pre heat the oil in a pan and cook the onions on a low heat, covered, to soften/brown them. 3. Add the pork to the onions and cook on a low heat, uncovered. 4. Add around 150g of water, the rice, pepper, parsley, dill, mint, cinnamon, lemon juice, tomato sauce, mushrooms, carrots, courgettes, salt and pepper, increase heat and bring to the boil, then cook for 2 minutes, stirring it all together, then reduce the heat to a low simmer and cook for 5 minutes. 5. Remove from heat, mix in the grated halloumi cheese and let the filling cool down. 6. Take (now dry) leaf, shiny side down, place a teaspoon of filling in the middle and wrap it up. Do this for all the leaves but keep a few old ones. 7. For the old looking leaves, or ones that have lost shape, do not disregard, but instead use them to line the bottom of a deep pan and then place the rolled stuffed vine leaves in this pan, in layers, seam side down. 8. Add around 50g of olive oil and enough water to reach the top level of the stuffed vine leaves. Cover with a plate to hold them securely while cooking and bring to a full boil, then reduce to a low simmer and cook for 20 minutes. Greek stuffed vine leaves can be served (cold or warm) as a main course, or as a side dish to something like avgolemoni (egg/lemon) soup or with tzatziki (yoghurt/cucumber based dish) or just unflavoured Greek yoghurt on the side.